Just beautiful and comfortable to wear. Friends want to know where I got it. 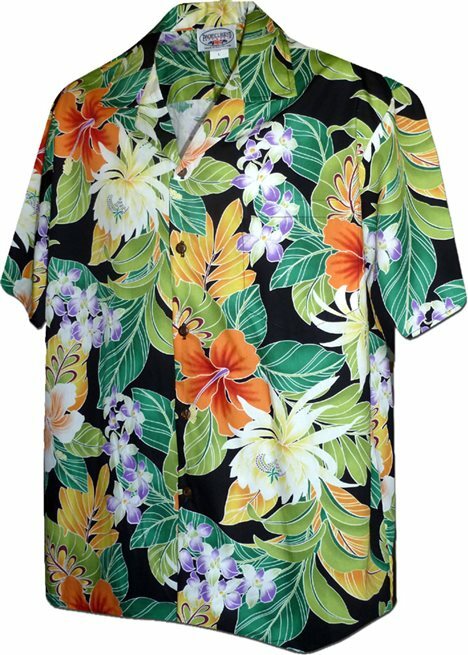 A nice alteration of the display hawaiian print of the various shirts I purchased from AlohaOutlet. I'm quite satisfied with my choice. It was on sale making it that much better. I now have a similar motif shirt that I can wear for two weeks without repeating a shirt. Obviously I'm taken by the overall genre. Construction is above average. Great job matching pattern on front of shirt.